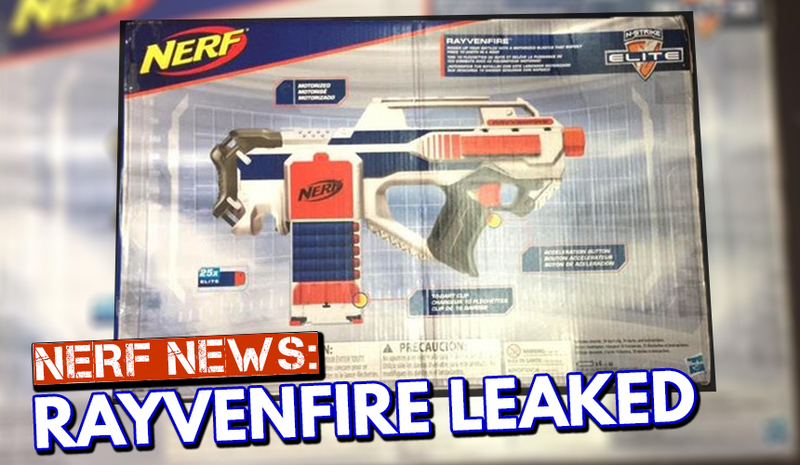 Leaked Nerf News: THE RAYVEN RETURNS! 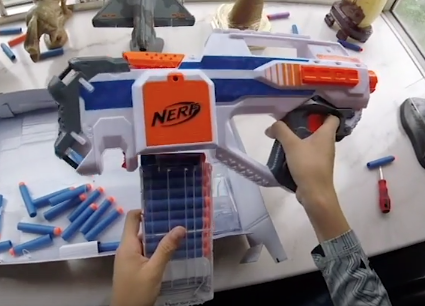 One of the most popular flywheel blasters will return once again, this time called the ‘Rayvenfire!’ Youtube user, Hartley Ju Nerf has uploaded an unboxing and review video of the new Rayven re-paint. This isn’t the first time Hartley Ju has managed to get his hands on an unreleased blaster. 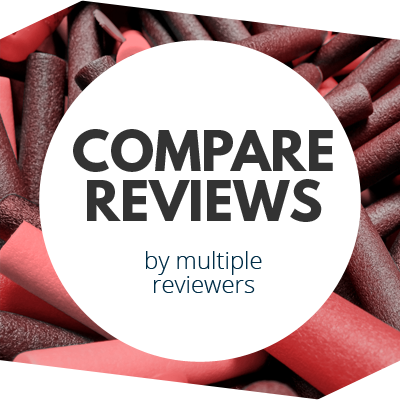 He also reviewed the Mega Twinshock and Doublebreach before being released on store shelves. As you can see from the magazine and darts, this blaster does not feature any glow-in-the-dark gimmicks. 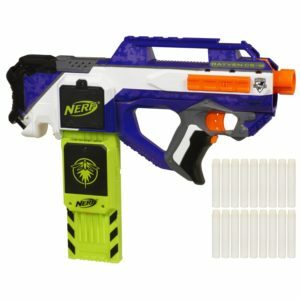 For some odd reason, Nerf decided to include a 10-dart magazine with the blaster, instead of an 18-dart mag. 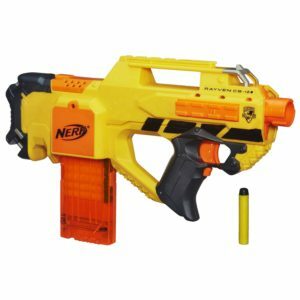 And what’s even more unusual is that the blaster comes with 25 darts. So, I guess that means 15 extra darts! 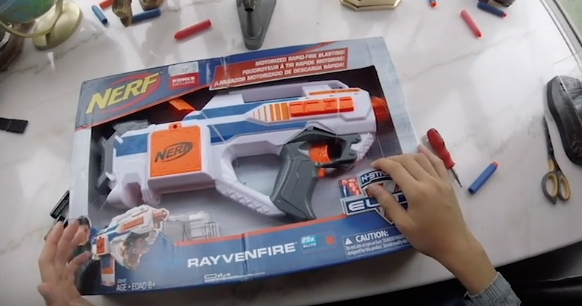 Hartley mentioned in the video that the RayvenFire will be a Kohl’s exclusive. 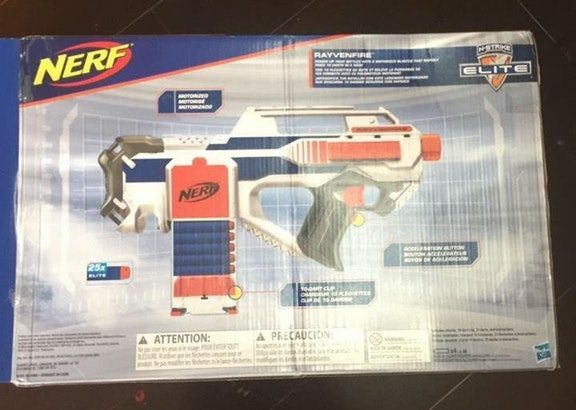 This might mean that Australian Nerf enthusiasts will again, miss out on an elite Rayven. With a new and epic colour scheme, I’m sure the NIC is more than happy to see this blaster back on store shelves. As to how much it costs, we don’t really know but I’m sure the fans are just excited to see the Rayven back on store shelves in the near future. 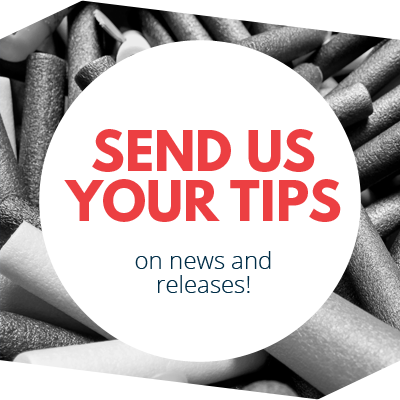 This entry was posted in News/Updates and tagged elite, leaked, n-strike, nerf, nerf news, news, Rayven, rayvenfire on June 25, 2017 by JJ Reviews. Any word on a release date? I’m assuming some time this fall. Well its out for sale online from kohls but its $70 (USA) and you can’t get it in store…. That means no coupons…. Looks like it’s on Kohls. com still for only 59usd now.